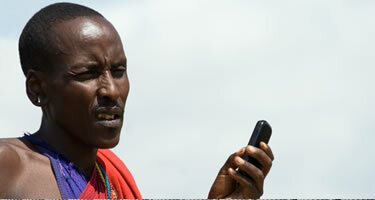 DataNet has established partnerships with telecommunications suppliers in Africa and the Middle East. DataNet’s International Private Leased Circuit (IPLC) customers can connect to more than 30 countries. DataNet provides IPLC services across the world through its own infrastructure as well as through its Global Partners. DataNet has capacity over various submarine cables enabling the transport of traffic through the latest and sophisticated submarine systems. DataNet offers a complete suite of Managed Enterprise Ethernet/MPLS/DIA (Dedicated Internet Access) services including access, equipment procurement and configuration, activation, installation, monitoring, maintenance, and consolidated billing. As the demand for wireless services increases, so does the challenge for mobile operators to cost-effectively expand their networks. Satellite technology plays a key role in backhauling voice and data traffic. DataNet mobile backhaul services provide sustainable and profitable connectivity for mobile network operators globally. As a mobile operator, you can rely on our solutions to improve backhaul capacity, quality and reliability of service. Whether you are building out new 2G, 3G and 4G-LTE networks in rural / remote areas with low density populations, expanding existing networks to support subscriber and traffic growth, or upgrading networks to add new services, the combination of our technologies can help you reduce OPEX & CAPEX, and increase service quality. O3b Networks is a Medium Earth Orbit (MEO) satellite constellation offering low latency comparable to that of fiber, resulting in triple end-user throughput.